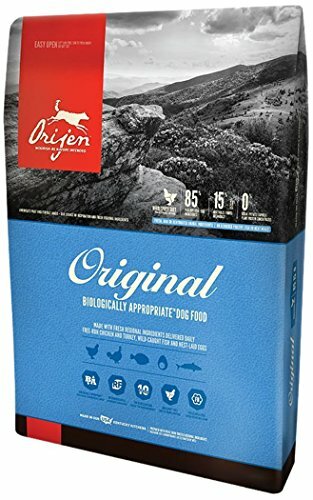 Does Orijen Make Good Puppy Food? Have you heard of Orijen? We’re sure you’ve heard awesome facts about its delicious doggy blends. Or, perhaps you’ve heard great things, but just never realized it was spelled this way! Well, either way, we’re big fans of Orijen puppy food, and their grown-up formulas, too.In this article, we’ll look at who the brand really are, what makes them unique, and why we consider their recipes such a top caliber choice for your puppy. 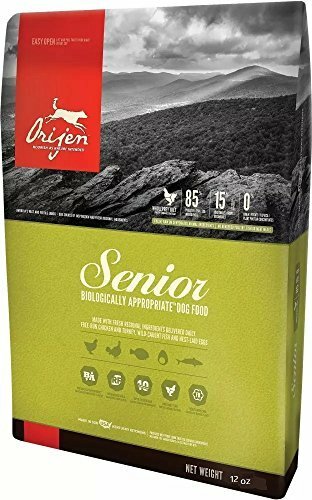 Why the Orijen Puppy Food Reviews and Orijen Dog Food Reviews? 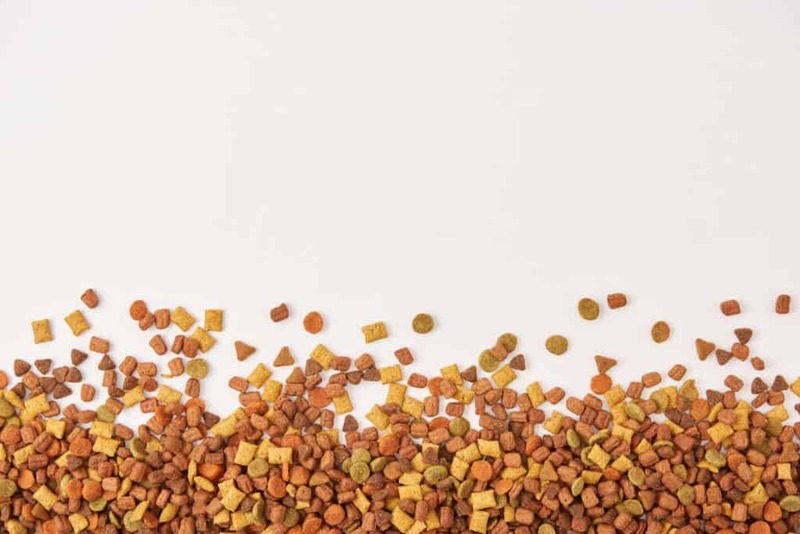 Why is the best dog food often more expensive? What is a dog food recall? Orijen has won Eco Excellence, Best Brand, and Innovation awards as a pet food producer. 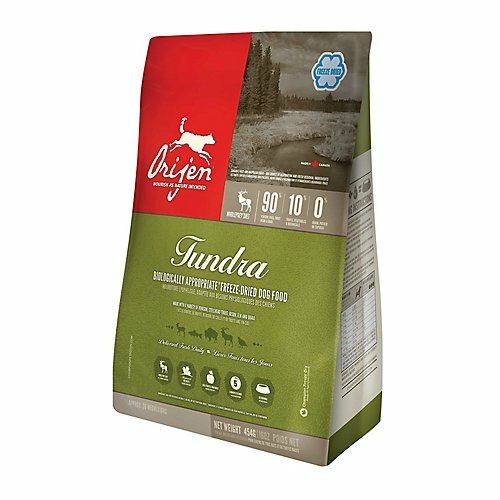 Orijen pet food is available in dozens of countries worldwide, and the Canadian brand is owned by Champion Pet Food, which also produces ACANA for dogs and cats. One of the first things you’ll notice when you spot Orijen kibble is the phrase “Biologically Appropriate”. It sounds brilliant, except…what on earth does that actually mean to us dog owners? Isn’t all dog food biologically appropriate? This is simply a term the brand came up with to describe what they feel is best for dogs. That is, our pets have evolved with the physical features of hunters, with jaws, teeth, and insides that match. 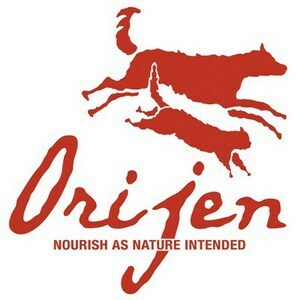 Orijen pet foods are designed to reflect those needs in the best possible way, so they feature ample protein-rich and high-caliber animal ingredients. So, it’s a very good thing! 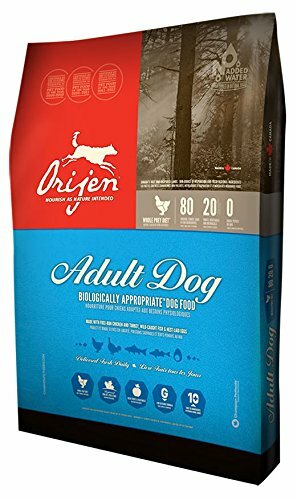 Considered one of The Very Best dog food brands by many, Orijen includes high proportions of real animal (or ‘prey’) ingredients in its kibble. And we mean really top-quality meat ingredients that have been preserved in optimal ways such as flash-freezing or air-drying. 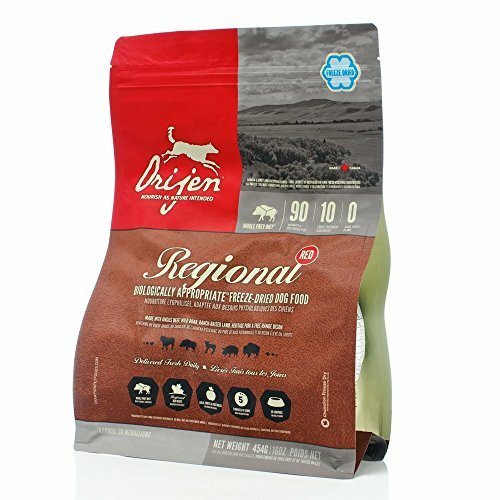 For example, Orijen Original Dog Food, as well as being totally zero-grain, has an 80:20 meat to veg and fruit ratio. This also means it’s ideal for those of us with gluten-intolerant puppies, and it provides them with 38% protein per cup. We’ve looked high and low for you, but there is no evidence of Orijen dog food having been recalled — not on the FDA or anywhere else. Just over a decade ago, some of the brand’s cat chow was recalled in Australia, and this was due to a treatment the food had undergone due to national laws Down Under. As far as we know, there are no instances of Orijen dog food having been taken off the shelves or recalled in the States. There is no skimping on quality with fillers or by-products. One caveat we can think of with regards to Orijen dog food is that can, thus, be seen as fairly pricey. In other words, if you choose to compare Orijen products with those of other brands, it is definitely not the most economical option. On the other paw, we reckon it’s well worth it for such a healthy mix of super-quality ingredients. And our dogs adore it, so it’s probably delicious! We have good news for you no-gluten-please puppy owners — all Orijen dog foods are made entirely without grains. Here are some of the most popular choices among dog owners. Here’s the best known, much-loved original recipe by Orijen. Contains varied sources of tasty proteins, in place of processed ‘filler’ carbohydrates. There are no fake synthetic preservatives anywhere in this food! Chicken-intolerant dogs won’t be able to enjoy this particular recipe. Freeze-dried for the best possible (natural) preservation of nutrients, this features contains only 19% carb content. Rather than wheat or similar fillers, these include navy beans, peas, pumpkin, butternut, carrots, and more. Yum! Along with healthy meats, you will notice this grown-dog blend includes pears, apples, and super-foods like pumpkin and blueberries. All meat ingredients get delivered daily to Orijen and are from regional farmers and other sources. There’s DHA, which aids eye and brain processes. There’s no fat added, however, this food contains 35% in total so is not recommended for dogs who don’t get exercised much. Ethical ingredients abound in this formula, and it has all-natural calcium at 1.6%. Helping your dog keep his bones robust and resilient! Tasty and wholesome, 66.6% of the meats in this large-breed formula are either frozen or totally fresh. The other third? Dried naturally in the air. All of it makes for some deliciously real flavor! In a six kilo bag, Orijen guarantees that you’ll find at least half a kilo of egg, 0.75 kilos of turkey, and 1.6 kilos of chicken. Yum! Omega acids will be helping your pup grow a polished, glossy coat. Not suitable for chicken-intolerant pups. Nourishing and vitamin-rich, with natural fibers, this is specially developed with all the nutrients to help our larger dogs avoid hip dysplasia and similar complications. 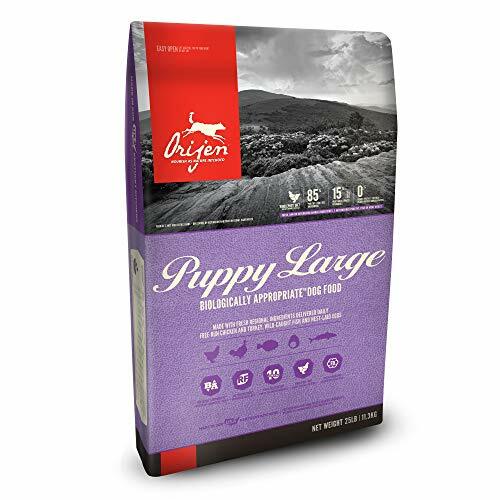 All the key advantages of Orijen Large Breed Puppy Food also hold for this ‘every puppy’ mix. Where some poorer quality brands use by-products for a higher glucosamine level, Orijen uses real organs and bones. Is suitable for pups that are anywhere between 2 and 30 kilos in weight. We’ve already mentioned that Orijen is slightly pricey and that it often features chicken. So, we’ve run out of cons to mention! A superfood for puppies, well-rounded and nutritious. Some of our team who’ve raised pups on this can report that it seems to have lip-smacking results — in other words, delicious! Orijen’s stance on canned dog food is crystal clear — the brand doesn’t have an in-house canning facility. So, rather than outsource its production elsewhere, it’s not planning to produce any canned foods in the near future. Instead, owners can choose from among the brand’s Freeze-Dried options. These come as ‘Medallions’, which are easily broken into several pieces then topped up (rehydrated or reconstituted) with warmed water. Beef, bison, pork, and fish feature in this quick-to-prep doggy dinner. No cans necessary, but all the meaty, moisture-rich benefits of natural prey, frozen while fresh. It has a whopping 90% meat content. Natural glucosamine will aid in protecting those doggy teeth, while fiber from wholesome veggies helps their digestion. None of those highly-processed fats or carbs are to be found here, just all-around goodness. Looking for a chicken-free recipe for your dog? We already know that each and every Orijen blend is grain-free, so here’s one that skips the chicken, too. Here’s one of the freeze-dried, chicken-free Medallion foods in a Tundra mix of flavors. What’s included? Duck, venison, bison, elk, and more. If your dog isn’t a huge chicken or potato fan, he’ll find little to complain about with this dinner recipe! Needs to be kept frozen until it’s served. As our dogs get on in years, their needs change too. It’s pretty helpful, then, that Orijen actually has produced their own white paper that includes a look at senior pooch needs. Find it in the helpful links below. Protein-rich and with a carefully limited amount of carbs, this blend for veteran dogs gives a nice 1.3% calcium. None that we’re able to spot, which is great! Your older dog will be getting glucosamine from this senior blend, this is sometimes found in supplements to help counter joint complications such as arthritis and more general stiffness. He’ll also be getting Omega acids to help care for his skin and coat needs. All round, yummy goodness — five stars! Many factors can influence the price of a product (in general! ), but you’ll find that the most common determinant of price when it comes to dog food is the quality of the ingredients used. Alongside this, you can expect to pay more for kibble that is manufactured using special methods. One example is to compare Orijen dog food — which uses a high proportion of dried, fresh, or frozen meat — with a no-name brand from the supermarket. The supermarket dog food may not mention any specific processes used to retain nutrient integrity, because these aren’t used. Rather, you may find cheaper, but lower-quality processes have been used to keep the kibble edible for longer. Expect synthetic chemical preservatives in the supermarket brand, for instance. Quality meat and non-meat ingredients are also more expensive than those which can be bought in bulk, often termed ‘fillers’. 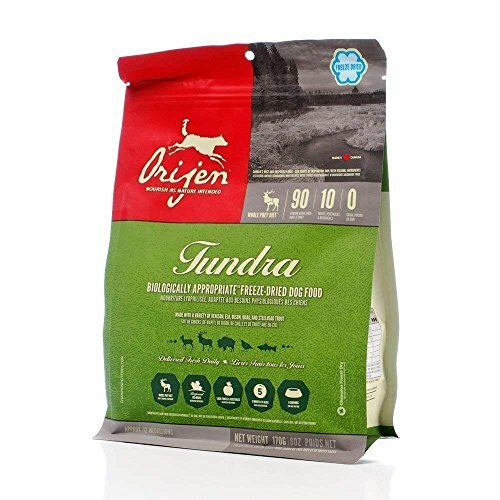 You will find little to no ‘fillers’ in good quality dog food, such as Orijen. Cliche as it sounds, most of the time you really are paying for quality. There are actually two ways that dog food can be recalled. A ‘recall’ is when a manufacturer’s product gets removed from sale, or the product is amended in some way. The latter occurs when the food has been found in some way ‘defective or potentially harmful’ (FDA, 2010). When dog food companies find something to be unsatisfactory with their own product and take it out of sale to change it, we have a voluntary recall. The other, an FDA issued recall, may take place when dog owners or the FDA itself notices something wrong with the product on testing it. If you are keen to keep track of recalls on dog food, you can check regularly with the FDA on their website.